ObserveIT is the leading Insider Threat Management solution with more than 1,800 customers across 87 countries. ObserveIT is the only platform that empowers security teams to detect insider threats, streamline the investigation process, and prevent data exfiltration. 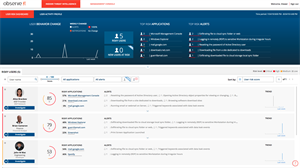 With 300+ out-of-the-box insider threat indicators of compromise, rich metadata and outstanding search capability and playback of any policy violation, ObserveIT provides comprehensive visibility into what people – contractors, privileged users and high-risk users – are doing, and reduces investigation time from days to minutes. For more information visit: www.observeit.com.